* Blue Dress “A” has a long-sleeved midnight blue coat (enlisted members have red trim) with a standing collar and belt (white web belt & gold waistplate for enlisted, midnight blue for officers with a gold M-buckle), white barracks cover (a peaked cap), plain white shirt, sky blue trousers, white gloves, and black shoes and socks. Large medals are worn on the left chest; ribbon-only awards on the right. Marksmanship badges are not worn. Females wear pumps in place of shoes, and may wear a skirt in place of slacks. For males, the dress coat is cut to be formfitting. * Blue Dress “B” is the same as “A”, but medals are replaced with their corresponding ribbons and all are consolidated on the left. Marksmanship badges may be worn. * Blue Dress “C” is same as “B” but without the outer blue coat and white gloves. A khaki long sleeve button-up shirt and tie are worn instead. Ribbons and badges are normally worn on the shirt. * Blue Dress “D” is same as “C”, but with a khaki short sleeve button-up shirt and no tie. Because the Blue Dress uniform is considered formal wear, Blue Dress “C” and “D” are rarely worn. The main exception are Marine Recruiters and Marine Corps Security Guards, which will wear the “C” and “D” in warm weather. 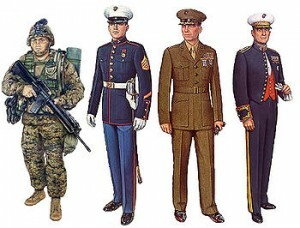 Only the “B”, “C”, and “D” Blue Dress uniforms are authorized for leave and liberty wear; the “A” is not. General officers have a two-inch wide scarlet “blood stripe” down the outer seam of each leg of their blue dress trousers; field and company grade officers have a 1 1/2-inch wide scarlet stripe down the outer seam of each leg of their blue dress trousers; and Staff NCOs and NCOs have a 1 1/8-inch wide scarlet stripe down the outer seam of each leg of their blue dress trousers. General officers wear trousers that are the same color as the coat, while other officers, Staff NCOs, and NCOs wear medium (sky) blue trousers. A blue crewneck sweater, in the same color shade as that of the trousers, may be worn with the “C” and “D” uniforms, in which case rank insignia will continue to be worn on the collar by officers and all ranks will wear rank insignia on shoulder epaulets (polished brass for enlisted). The collar is worn on the outside of the sweater in order to display the rated rank insignia of officers. When wearing the crewneck sweater with the long sleeve khaki shirt, a tie is not required. Prior to 1998, the “Blue-White” dress uniform was authorized to be worn for the ceremonial units at Marine Barracks, 8th & I in Washington, D.C. (most famously the Silent Drill Platoon and Color guard). Since then, it has become the authorized summer dress uniform for all officers (it replaced, in 2000, an all-white uniform, similar in appearance to that of the Naval Officer/CPO white dress uniform), SNCOs (unless they are in formation with NCOs and junior enlisted personnel who are not authorized to wear the uniform), and by NCOs and junior enlisted personnel for ceremonies and social events only, if authorized and provided by the command structure. Like the Blue Dress uniform, the Blue-White Dress consists of an “A” and “B” uniform, and is worn in the same manner as that of the Blue Dress uniform, except for the trousers, skirt, or slacks being white instead of blue. Unlike the Dress Blues, the Blue-White Dress uniforms do not feature the “Blood Stripe”. As with the Dress Blues, the “A” is not authorized for leave and liberty wear. The white trousers are not authorized for wear with either the long-sleeved or the short-sleeved khaki shirt, precluding “C” and “D” uniforms. To differentiate themselves from the infantry, musicians — at that time, merely buglers and signal callers — would reverse the traditional colors. Today’s Marine Corps musicians still carry on such tradition by wearing a scarlet blouse with blue trim instead of the Dress Blues blouse. 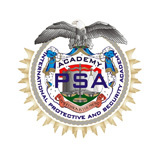 Like the Blue-White Dress uniform, musicians are not authorized to wear the khaki shirts with the Red-Dress Uniform. Should the condition warrant (summer heat), the band will wear the appropriate Dress or Service uniforms. * Evening dress “A” (for officers) is similar to Dress Blue “A”, except an evening coat with strip collar, white waistcoat, and white shirt with pique placket is worn. The stripe on the trousers is a thin red stripe inside a gold stripe instead of scarlet. Females wear a long skirt. Miniature medals and badges are worn. * Evening dress “B” is identical to Evening Dress “A” except males wear a scarlet waistcoat (General officers) or cummerbund (other officers), and females may wear a short skirt. * SNCO’s Evening Dress for Staff Non-Commissioned Officers, and much resembles a tuxedo with historic 1890’s-era rank insignia sewn on the sleeves. * making official visits and calls on American and foreign dignitaries, officials, and Military officers. * visiting the White House, except when in a tourist capacity, or on an occasion where another uniform is specified. Like the Blue Dress uniform, the service uniform is authorized for wear while off-duty (on leave or liberty). * Service “A” (or Alpha) is the base uniform. It consists of a green coat, green trousers with khaki web belt, khaki long-sleeve button-up shirt, khaki tie, tie clasp, and black shoes. The coat is cut to be semi-form fitting, with ribbons and shooting badge worn on the left chest of the coat. Females wear a green necktab in place of the tie, pumps instead of shoes, and have the option of wearing a skirt instead of slacks. It is sometimes appropriate to remove the jacket while indoors. * Service “B” (or Bravo) is identical to the “A” except the coat is removed. Ribbons may be worn on the shirt. * Service “C” (or Charlie) is identical to “B” except with a short-sleeve button-up shirt and no tie. 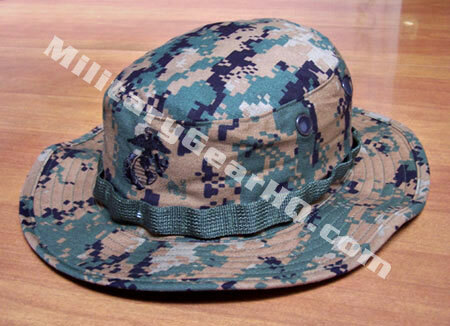 There are three types of authorized headwear for the service uniform. Both males and females may wear the green soft garrison cap, sometimes nicknamed a “piss cutter”. 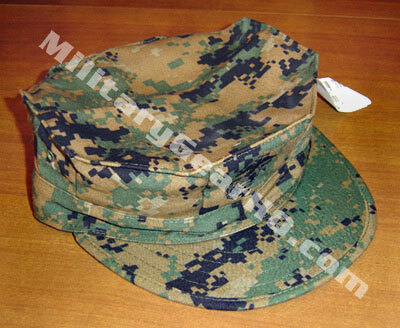 There is the option of wearing a hard-framed service cap (called a Barracks Cover). The design of these covers differ between females and males. As on the Blue Dress uniform, officers wear rank insignia on the shoulder epaulettes of their jackets and the collars of their shirts, while enlisted personnel wear rank insignia sewn on their sleeves. A green crewneck sweater may be worn with the “B” and “C” uniforms, in which case rank insignia will continue to be worn on the collar by officers and all ranks will wear rank insignia on shoulder eppaulets (black for enlisted). The collar is worn on the outside of the sweater in order to display the rated rank insignia of officers. When wearing the crewneck sweater with the long sleeve khaki shirt, a tie is not required. The variety worn depends on the environment and season: Deployed Marines wear whichever color is more appropriate to the climate and terrain, Marines in garrison wear the woodland MCCUU with long sleeves in winter months, and the desert MCCUU with sleeves rolled up in summer months (the transition occurs simultaneously with Daylight Saving Time). When rolled, the sleeves of the blouse are tightly folded up to the biceps, exposing the lighter inside layer, and forming a neat cuff to present a crisper appearance to the otherwise formless uniform. 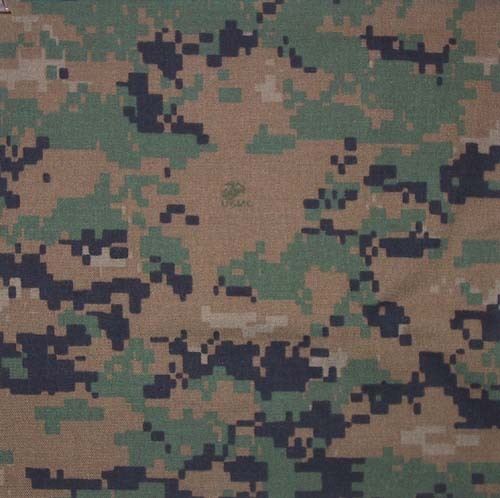 In the past, when Marines wore the same utilities as the Army and Air Force, this served to distinguish them from the other branches, who folded the sleeves in with the camo facing out. In Haiti, the practice earned them the nickname “whitesleeves”. Unlike the Dress and Service uniforms, utilities are not permitted for wear on leave or liberty (while off-duty), except when traveling in a vehicle a place of duty and a residence, or in emergency stops. The approved headwear is the utility cover, an eight-pointed brimmed hat that is worn “blocked”, that is, creased and peaked. In the field, a boonie cover is also authorized. The trouser legs are “bloused”, or the cuffs are rolled inside and tightened over their boots with a spring or elastic band known as a “boot band” or “blousing garter”. With the introduction of the Marine Corps Martial Arts Program (MCMAP), Marines now wear color-coded rigger’s belts instead of the old web belt, indicating their level of proficiency in MCMAP (the web belt was phased out in 2008 due to a requirement for all Marines to achieve a tan belt rank by then. In combat, Marine will also wear one of two ballistic vests: the Outer Tactical Vest and the newer Modular Tactical Vest, as well as the Lightweight Helmet (replacing the PASGT helmet) and Improved Load Bearing Equipment. Marines in a combat area may also wear Flame resistant organizational gear, or FROG uniforms. These combat uniforms are designed to reduce fire-related injuries, and look quite similar to the MCCUU. Other individual equipment may be worn as directed. New Marine Corps running gear unveiled in December 2007 by CMC General Conway. Commanders will soon be able to authorize a new green tracksuit with gold and scarlet “Marines” lettering and reflective trim as the proper wear. It was unveiled during a tour of Iraq in December 2007, by Commandant of the Marine Corps General James Conway. It will be issued to Marines free of cost, having begun in February 2008 and will be mandatory possession by the end of FY 2009. In addition, Marines can wear a watch cap and gloves in cold weather, or a hydration pack to prevent dehydration. 1. Marines will wear all ribbons to which they are entitled on service and dress “B” coats. Ribbons will be worn on the dress “A” coats only as authorized in paragraph 5202. 2. When the blue dress “C”/”D” or service “B”/”C” uniforms are worn the wearing of ribbons on khaki shirts is at the individual’s option unless the commander prescribes that ribbons be worn. If ribbons are worn on these uniforms, either all ribbons, or personal U.S. decorations with U.S. unit awards and the Good Conduct Medal, may be worn at the individual’s option. In garrison, a utility cover, also known as an 8-point cover, is worn. In the field, the boonie (floppy) cover is worn in non-combat environments. A olive green tee shirt, or skivvie shirt, without a logo is worn underneath the blouse. Due to the intense heat in Iraq, moisture wicking tee shirts, such as those produced by Under Armour became very popular. However, due to concerns that the shirts would melt to the skin in the event of a fire or explosion, they were banned. However, the Marine Corps has worked with Danskin to develop their own moisture wicking shirts under the “Elite Issue” line,  ultimately creating and issuing the Flame Resistant Organizational Gear to troops likely to be exposed to combat.